Marani Pro Audio’s mission statement is “Creating the most sophisticated and advanced digital process within an innovative audio product allowing customers to accomplish all their system requirements.” With this end, Marani serves the audio industry by offering the audio professional a variety of products, including DSPs, power amplifiers, speaker management systems, advanced FIR filtering processors, and a variety of classic processors for pro audio. The company has also added some of the latest implements to its product lines, such as speaker management systems, plate and rack amplifiers, network interfaces such as Dante and Ravenna, and support for Wi-Fi and Bluetooth. "I decided to join the SynAudCon's Sponsorship Program while I was reading some of Pat Brown's articles,” said Michele Marani from Marani Pro Audio. “I was impressed by the simplicity in explaining complicated concepts that commonly represent a barrier between experts on professional products and the users. 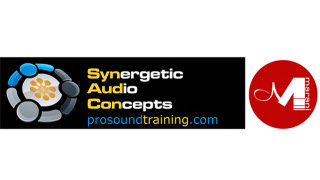 Now, knowing more about SynAudCon's training, I am strongly convinced that SynAudCon promotes the pro audio knowledge in the best way possible, making it understandable for the user who needs clarity. This activity must be sustained and supported by all professionals. It is a great way to help those who love our industry. They will learn the right way to approach it and appreciate the well-made products." "We are extremely pleased that Marani has decided to sponsor our efforts," said Brenda Brown, co-owner of SynAudCon. “We have an impressive list of sponsors and it's truly an honor to include Marani."